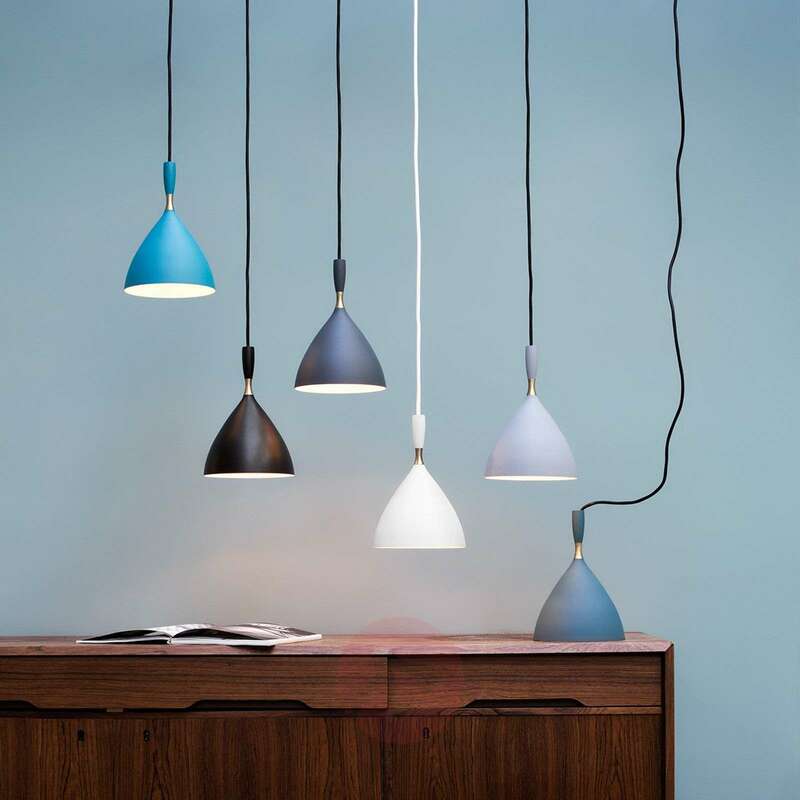 The hanging light Dokka stylishly lights up every room. It can be put to versatile use. Thanks to its adequate light, it is also suitable for hobby rooms. 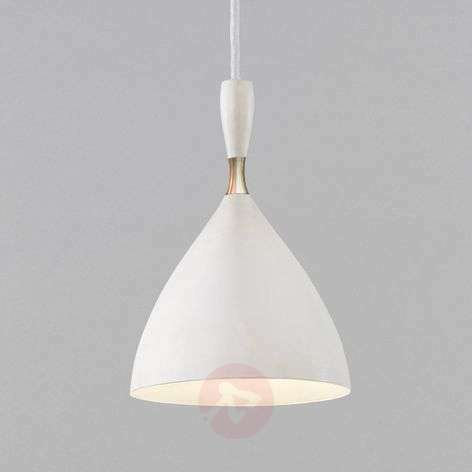 Its white colour and elegant shape also make it stylish and modern enough to fit into any living room or bedroom. 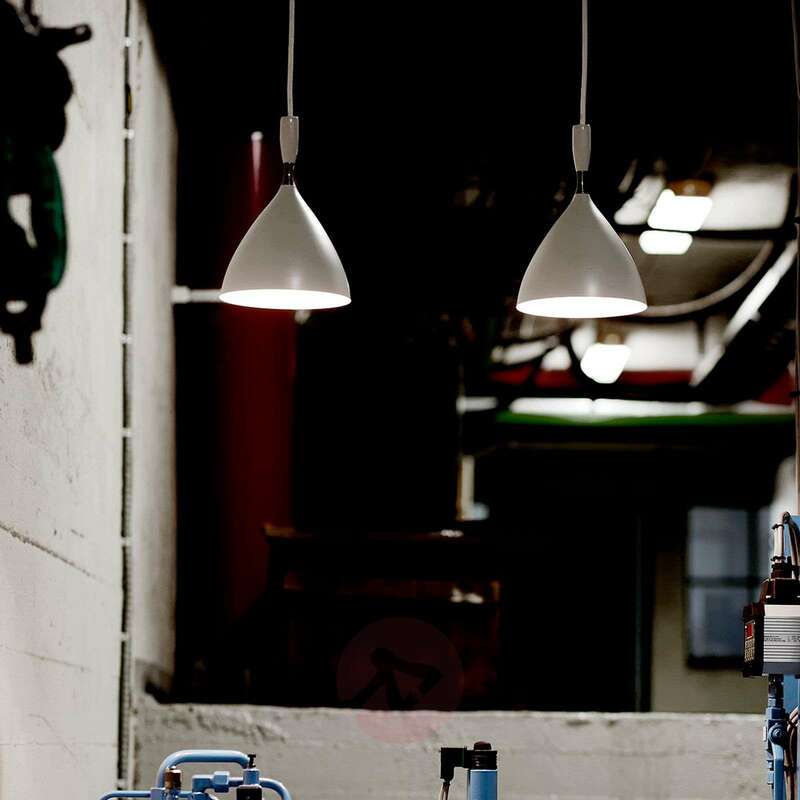 It adapts to its surroundings - thanks to its simple appearance. 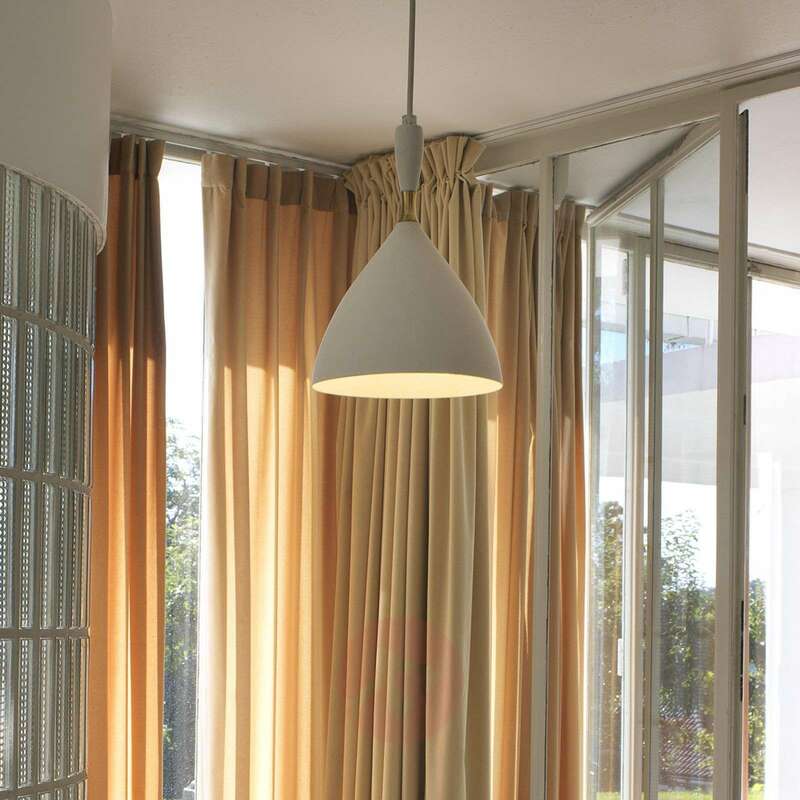 The lampshade and the cable have a white finish, but there is a sleek ring in brass on the top, which is the only, but especially effective decoration. 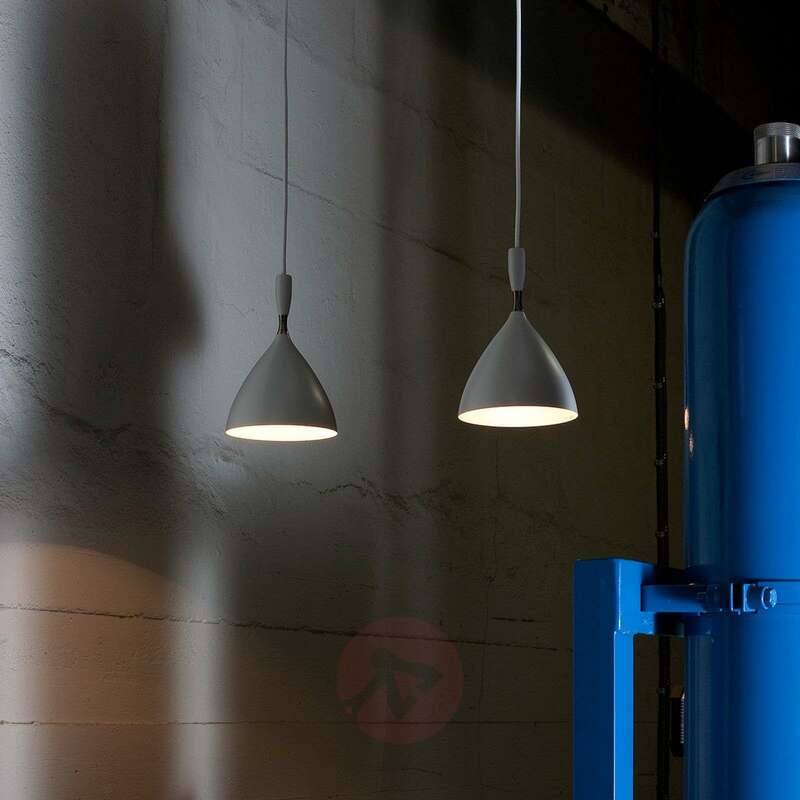 The lampshade of the hanging light Dekka has a diameter of 16.5 cm at the widest point. It has a height of 24.5 cm.